Were you a resident at the time and befriended any of the Canadian Servicemen? War Bride – did you marry a Canadian Servicemen? Home Guard – were you trained by any of the Canadian Troops? 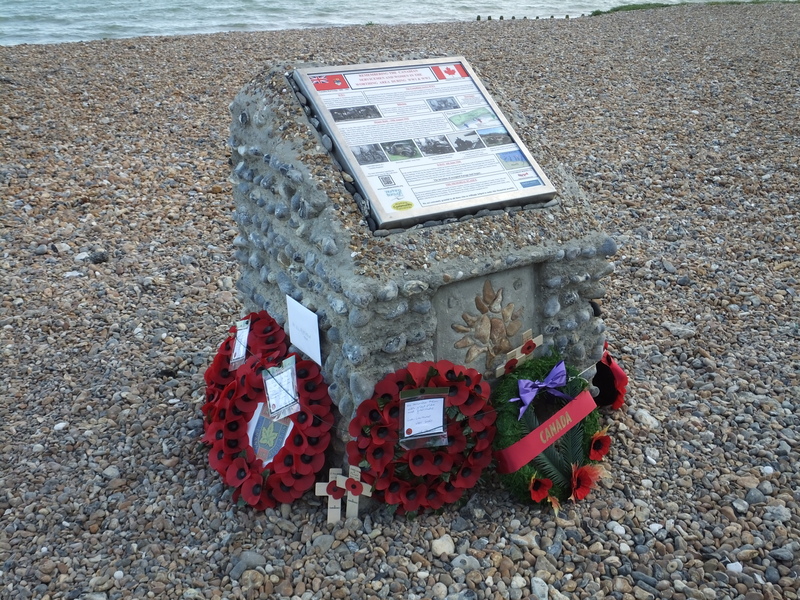 On the 17th August 2014, there will be a service of remembrance at the Canadian Memorial, which is situated on the seafront opposite Grand Ave., West Worthing. The memorial was unveiled in 2013 by Lt.Col Jean Trudel representing the Canadian High Commission. Decorated with pebbles collected from Canada, Italy Sicily, Belgium, The Netherlands and Worthing. On top of the memorial there is an information plaque giving details of the Canadian servicemen and women that were stationed in and around Worthing during WW1 & 2.